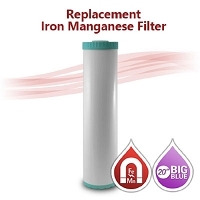 Home > Water Filters > 20 x 4.5 > Big Blue 5 Micron Carbon Block (CTO) Water Filter - size 20"x4.5"
5 Micron nominal filter rating. 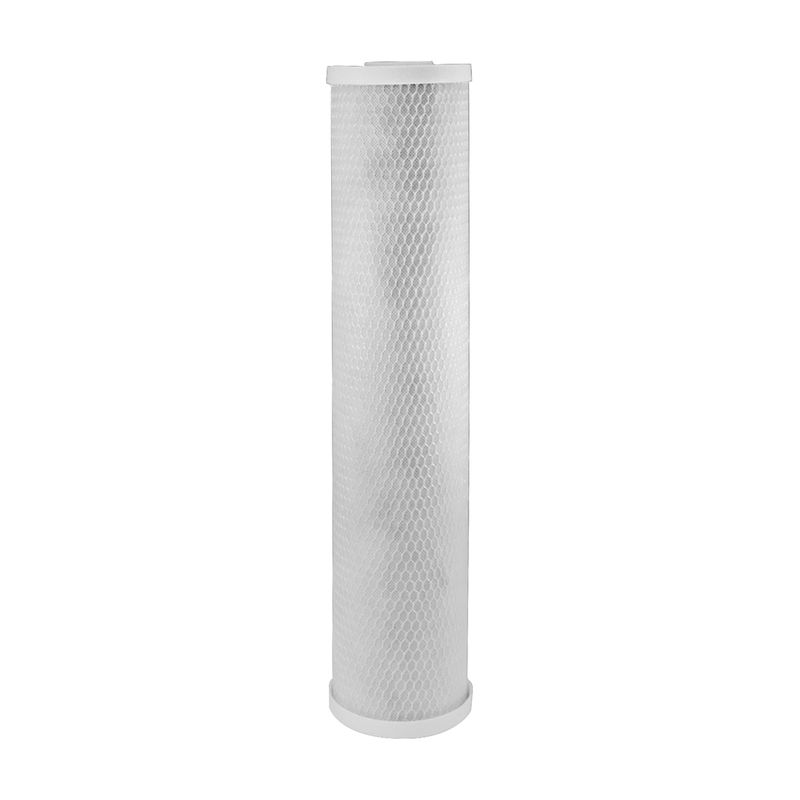 Carbon block filters are extremely effective for removing chlorine taste and odors from your drinking water along with sediment removal. 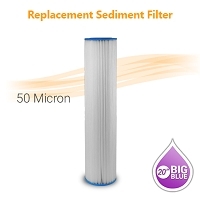 Filter Life: 26000 Gallons @ 7GPM. Operation pressure 25 to 75 PSI maximum. 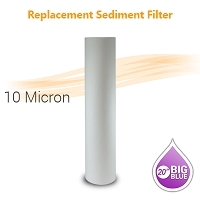 CTO Carbon Block Filter 5 Micron size 20"x4.5"
Used as 3rd stage whole house big blue filtration system. Max Water delivery was quick with delivery and well packaged. 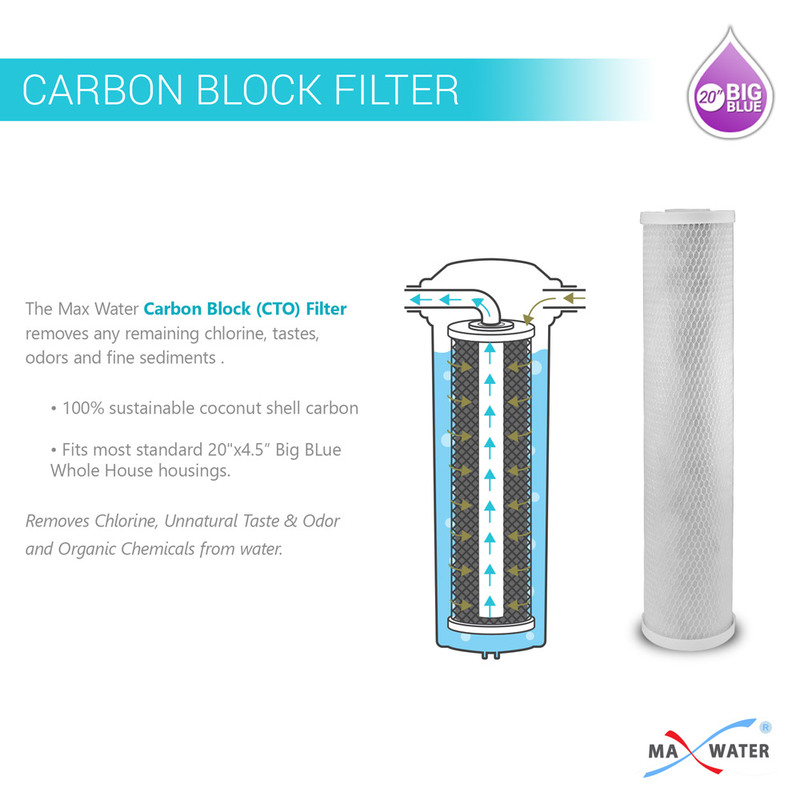 I have a big blue whole house system and this carbon block filter does what I wanted which was getting rid of chlorine and the smell from our city water. 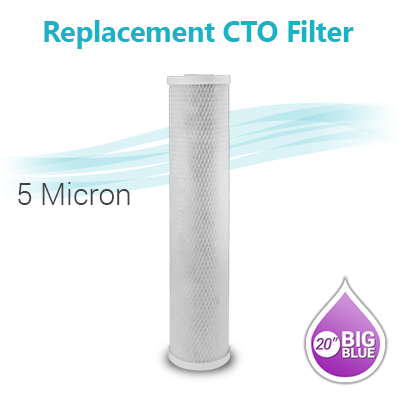 I installed this in a big blue to remove all the chlorine in my house. Works for my entire house. 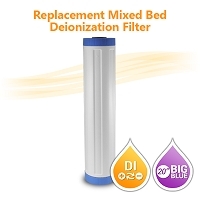 Testing now shows almost zero for chlorine residual. 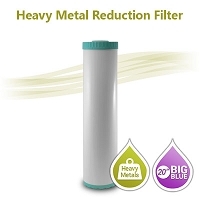 Water smells better, tastes better and its way healthier. Thank you for the fast responce and shiping times. It arrived on my doorstep, much before I anticipated and was exactly what I wanted. 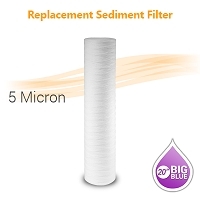 Mixed Bed De-Ionization Water Filter size 20"x4.5"
5 Micron Yarn-wound Depth Water Filter - Size 20"x4.5"
Pleated Water Filter 50 Micron, size 20"x4.5"